Seats very close to 3rd base! 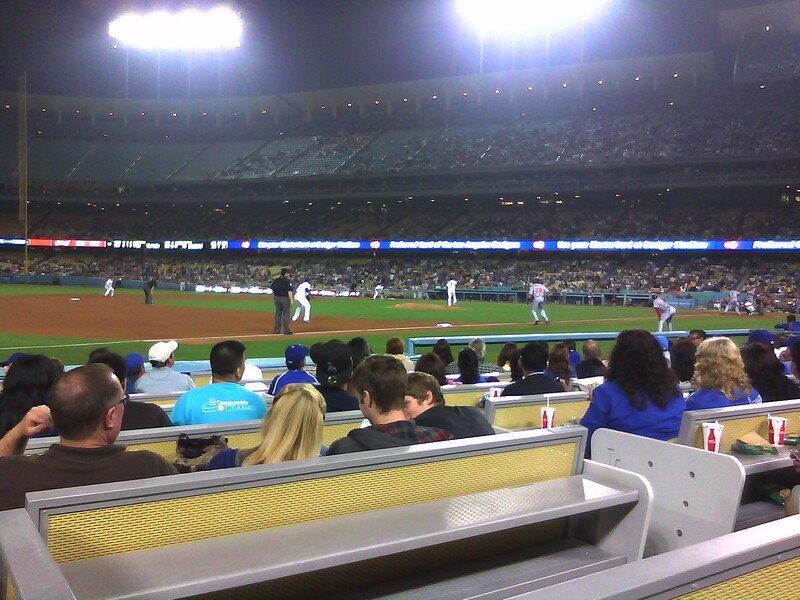 I went to my first Dodgers game in over ten years. I grabbed a Dodger dog and a drink and proceeded to watch them lose to the Washington Nationals by 5 points. They lost their last game I went to too, which was against the Giants. I hope it’s them and not me. 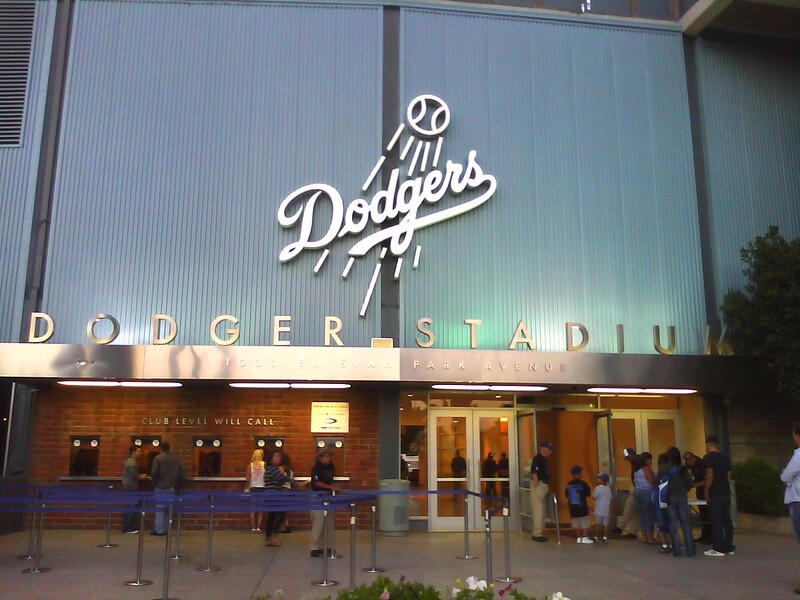 This entry was posted on Sunday, July 24th, 2011 at 12:01 am	and tagged with baseball, dodgers, postaweek2011 and posted in Uncategorized. You can follow any responses to this entry through the RSS 2.0 feed.